Summary: Georgina Fernweh waits with growing impatience for the tingle of magic in her fingers—magic that has been passed down through every woman in her family. Her twin sister, Mary, already shows an ability to defy gravity. But with their eighteenth birthday looming at the end of this summer, Georgina fears her gift will never come. No one on the island of By-the-Sea would ever call the Fernwehs what they really are, but if you need the odd bit of help—say, a sleeping aid concocted by moonlight—they are the ones to ask. No one questions the weather, as moody and erratic as a summer storm. No one questions the (allegedly) three-hundred-year-old bird who comes to roost on the island every year. When tragedy strikes, what made the Fernweh women special suddenly casts them in suspicion. Over the course of her last summer on the island—a summer of storms, of love, of salt—Georgina will learn the truth about magic, in all its many forms. Today on the blog we have a guest review from Kayleen over at bookaplenty! 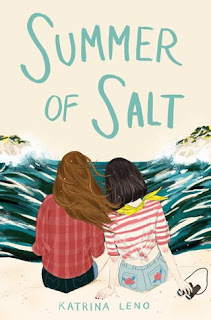 She was kind enough to stop by and review Summer of Salt and share her thoughts on it, and we couldn't be more excited to have her here as our guest reviewer for today! So without further ado, let's get into it! Leno kills this small island drama filled with magic, family, and love. The world is absolutely amazing and is only complimented by the great characters that make this book what it is. One of the things that made me fall in love with this book is the world. It takes place on a small island where everyone knows everyone and people don't really leave. Strange things occur, but what can you do. The "ignorance" by the town people was really fun to read about. Most people don't know that their own neighbors have magical powers. The blissful ignorance is fun to read about, because how do you miss a floating teenage girl. The island itself is also super cool. They have the bare necessities to survive as a functional town, but it is still so fun to read about. The characters are also an AMAZING part of this book. The main character, Georgina, is filled with anxiety for her powers to come. She is also a badass lesbian and her family and people in the town don't care. I'm really glad that her sexuality was just her sexuality and not a huge plot like "will her family still love her?!?!". The characters (not just Georgina) have amazing character development throughout the story and that is all I can say without any major spoilers. Overall, I really enjoyed this book. Katrina Leno mixes world and characters together into a perfectly magical book. 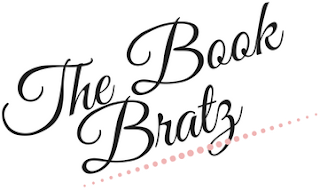 We'd like to once again thank Kayleen for stopping by The Book Bratz today to post this guest review. You can read the original review over on her blog by clicking HERE! I really enjoyed the setting and the way Leno used it. The island was a character in its own right, if you ask me.